Over the last few years, LED candles have become increasingly common; and for good reason. From a distance a decent LED candle is a pretty convincing facsimile for the real thing, providing a low flickering glow without that annoying risk of burning your house down. But there’s something to be said for the experience of a real candle; such as that puff of fragrant smoke you get when you blow one out. Which is why [Keith] set out on an epic three year quest to build the most realistic LED candle possible, with a specific focus on the features that commercial offerings lack. So not only does it use real wax as a diffuser for the LEDs, but you’re able to “light” it with an actual match. It even ejects a realistic bit of smoke when its microphone detects you’ve blown into it. Ironically, its ability to generate smoke means it doesn’t completely remove the possibility of it setting your house on fire if left unattended, but we suppose that’s the price you pay for authenticity. As you might have gathered by now, [Keith] is pretty serious about this stuff, and has gone to great lengths to document his candle’s long development process. If you’d care to build a similar candle, his written documentation as well as the video after the break will certainly get you on the right track. He’s even broken the design down into “milestones” of increasing complexity, so for example if you don’t care about the smoking aspect of the candle you can just skip that part of the build. So what did [Keith] put into his ultimate LED candle? 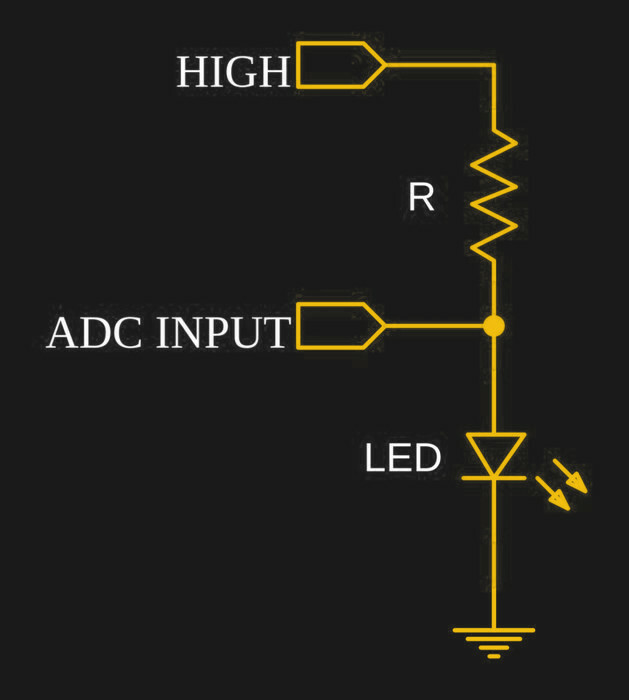 In the most basic form, the electronics consist of a Arduino Pro Mini and a chunk of RGB WS2812B strip holding six LEDs. Add in an IR sensor if you want the candle to be able to detect the presence of a match, and a microphone if you want to be able to blow into the candle to turn it off. Things only get tricky if you want to go full smoke, and let’s be honest, you want to go full smoke. To safely produce a puff of fragrant smoke, [Keith] is using a coil of 28 gauge wire wrapped around the wick of a “Tiki Torch”, and a beefy enough power supply and MOSFET to get it nice and hot. The wick is injected with his own blend of vegetable glycerin and aromatic oil, and when the coil is fired up it produces an impressive amount of light gray smoke that carries the scent of whatever oil you add. 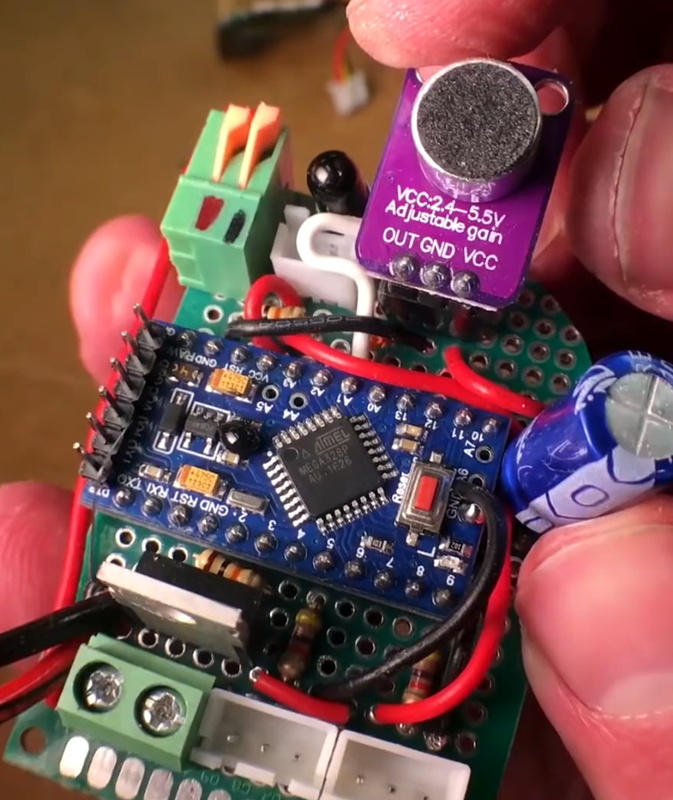 Even if you’re not currently on the hunt for the ultimate electronic candle, it’s a neat little implementation that could be used come Halloween. More often than you think, scientific progress starts with a simple statement: “Huh, that’s funny…” That’s the sign that someone has noticed something peculiar, and that’s the raw fuel of science because it often takes the scientist down interesting rabbit holes that sometimes lead to insights into the way the world works. [Ben Krasnow] ended up falling down one of those rabbit holes recently with his experiments with magnets and flames. It started with his look at the Zeeman effect, which is the observation that magnetic fields can influence the spectral lines of light emitted by certain sources. In a previous video, [Ben] showed that light from a sodium lamp could be dimmed by a powerful electromagnet. Some of his viewers took exception to his setup, which used an oxy-acetylene flame doped with sodium passing through the poles of the magnet; they thought the effect observed was a simple magnetohydrodynamic effect, and not the Zeeman effect he was supposed to be testing. That led to the experiments in the video below, which started with a candle flame being strongly deflected by the magnet. [Ben] methodically worked through the problem, eliminating variables by going so far as to blow soap bubbles of various gasses within the magnet’s poles to rule out the diamagnetism of oxygen as a cause of the phenomenon. He finally showed that even hot air by itself is deflected, using a simple light bulb and a FLIR camera. It’s good stuff, and well worth a watch. Let’s face it, everybody wants to build a Stirling engine. They’re refined, and generally awesome. They’re also a rather involved fabrication project which is why you don’t see a lot of them around. This doesn’t remove all of the complexity, but by following this example 3D printing a Sterling engine is just about half possible. This one uses 3D printing for the frame, mounting brackets, and flywheel. That wheel gets most of its mass from a set of metal nuts placed around the wheel. This simple proof-of-concept using a candle is shown off in the video after the break, where it also gets an upgrade to an integrated butane flame. Stirling engines operate on heat, making printed plastic parts a no-go for some aspects of the build. But the non-printed parts in this design are some of the simplest we’ve seen, comprising a glass syringe, a glass cylinder, and silicone tubing to connect them both. The push-pull of the cylinder and syringe are alternating movements caused by heat of air from a candle flame, and natural cooling of the air as it moves away via the tubing. We’d say this one falls just above mid-way on the excellence scale of these engines (and that’s great considering how approachable it is). On the elite side of things, here’s a 16-cylinder work of art. The other end of the scale may not look as beautiful, but there’s nothing that puts a bigger smile on our faces than clever builds using nothing but junk.